As with other oil-producing nations, Nigeria’s economy has been a mixed bag. In 2016, it experienced its first recession in a quarter of a century. It was an undeniably difficult year for the country as its finances bore the brunt of low oil prices. The situation was further exacerbated by a simultaneous reduction in output, caused by a series of militant attacks on crude pipelines in the Niger Delta. Last year, however, told a different story. After 15 months of recession, Nigeria’s economy finally rebounded in the second quarter of 2017, albeit at a GDP growth rate of just 0.6 percent. According to Nigeria’s National Bureau of Statistics, the economy achieved 0.83 percent growth overall for the year. Despite being slight, the figures are a positive sign of progress. In particular, they demonstrate the boost given to the oil sector thanks to a fall in the number of attacks on pipelines, which enabled production to increase by a third. Meanwhile, global oil prices also increased, helping to further bolster the economy. Nigeria’s non-oil sector also played a significant role in the positive results of 2017. The adoption of a flexible exchange-rate policy, which aligned the naira with the black market rate, engineered a much-needed reduction in the shortage of dollars affecting importers. Accumulatively, a brighter economic and political outlook has been enticing investors back to Nigeria and the country’s stock market has rallied. Against this bright backdrop, the financial sector continues to make significant moves, including the introduction of new technologies, which in turn have drastically improved the efficiency of financial transactions for customers. Various banks are also making a big push in terms of sustainability, creating better conditions for local communities and the environment alike. As an industry leader in Nigeria, Zenith Bank is a role model for both. In light of the impact that the bank is having, both on the Nigerian financial sector and on local communities through an extensive set of corporate social responsibility (CSR) initiatives, World Finance spoke with the chairman of Zenith Bank, Jim Ovia, to find out more about the institution’s successes. To understand how Zenith Bank is succeeding, it is important to go back to the very start. Established in May 1990, Zenith Bank began operating as a commercial bank in July of the same year. After 14 years of rapid growth and a highly successful initial public offering, the bank was listed on the Nigerian Stock Exchange in June 2004. The bank is also listed on the London Stock Exchange (LSE) and the Irish Stock Exchange (IRS). The bank’s listing of the second tranche of the $500m Global Medium Term Note programme broke ground with an overwhelming oversubscription of more than 300 percent. With its headquarters in the commercial capital of Nigeria, Zenith Bank now has more than 500 branches and business offices across the entire country – including, importantly, one in every state capital and major town in Nigeria. In 2007, it became the first Nigerian bank to be granted a licence by the UK’s Financial Services Authority, while it also operates in Gambia, Ghana, Sierra Leone, South Africa and China. In 2013, continuing along this path of expansion, the bank listed $850m shares on the London Stock Exchange, marking another major step in its status as a globally positioned financial institution. Today, Zenith Bank is the largest bank in Nigeria by Tier 1 capital and boasts a shareholder base of over one million. “When Zenith Bank was founded, the intention was to meet the needs of Nigerians by providing excellent banking services,” Ovia explained. Given this steadfast focus on meeting the evolving demands and requirements of customers, the bank has placed cutting-edge technology at the core of its strategy. Consequently, by adopting the very latest innovations in fintech, Zenith Bank is able to provide platforms that are easy and intuitive to use, while also ensuring that transactions are carried out seamlessly, both online and in real time. In order to stay at the top – and, in turn, provide the very best in financial services for its broad customer base – Zenith Bank is always on the look-out for new solutions that can improve the level of convenience and efficiency offered to its clients. Given the changing nature of financial services these days, it comes as little surprise that Zenith Bank has recruited Africa’s finest tech talent to work on new tools and platforms for the benefit of its customers far and wide. This is to complement its status as the company with the highest number of chartered accountants by any Nigerian institution. Over the past decade, sustainability has certainly become the buzzword of the corporate world. Much of this is based on a growing public awareness, which sees individuals opt for purchases and services that are less harmful to the world around them. As is the case with other spheres, this shared social consciousness has certainly made its way into the financial sector and transformed the way banks function. This shift is major news for Nigeria, to the extent that most banks in the country now compile annual sustainability reports that are submitted to the appropriate regulators. Zenith Bank has taken a lead in this direction, being the first company in Nigeria – and the first financial institution in the whole of Africa – to have adopted the GRI Standards in sustainability reporting. “Zenith Bank promotes sustainability in terms of services and operations by making sure that sustainable business practices with reference to the environmental and social criteria of GRI Standards are embraced and executed. 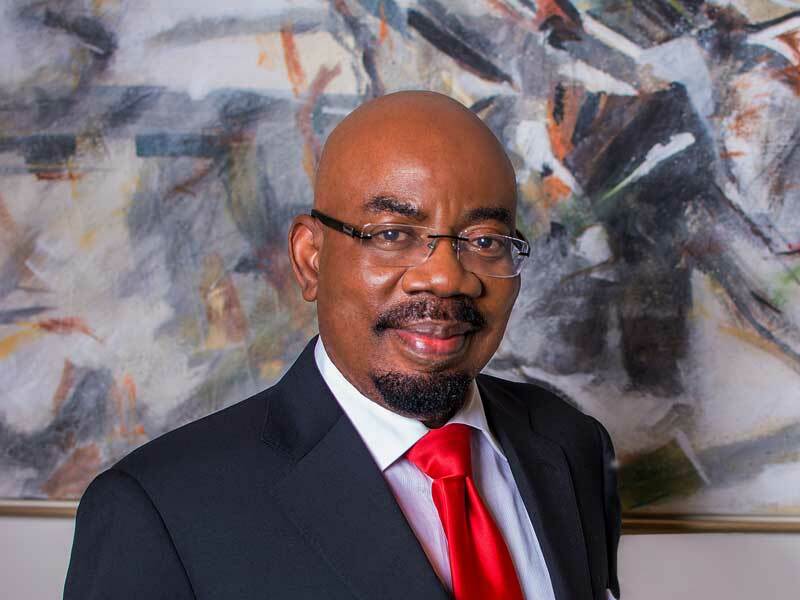 The bank adopted the green business option, which is committed to carrying out periodic reviews of our processes to identify areas of potential adverse environmental effects and mitigate them as efficiently as possible,” Ovia told World Finance. Zenith Bank also remains committed to adhering to all applicable labour laws and regulations in the different markets in which it operates. Consistent with international best practices, the bank establishes policies and guidelines covering grievance reporting and resolutions, disciplinary and reward procedures, paid maternity and paternity leave, employee training and performance management, and severance and separation benefits, among others. The bank is also involved in various community projects, including those dedicated to education advocacy, environmental sustainability, and youth and sport empowerment. There is Zenith Bank’s multimillion-naira flagship Iga-Idunganran Lagos Island Community Healthcare Centre – a testament to its commitment to healthcare delivery in local communities. Not only did the bank fund the construction of the facility, but it also fully equipped it in order to meet the primary healthcare needs of Lagos Island residents. Along this vein, Zenith Bank donates equipment and facilities to hospitals across Nigeria, an example being its recent donation of incubators and other equipment for neonatal care to the University of Calabar Teaching Hospital in Cross River State in a bid to help reduce infant mortality. Elsewhere, at institutions like the national hospital in Abuja, the bank has donated state-of-the-art ambulances, while it continues its work to help with the early detection of life-threatening diseases such as cancer and AIDS by providing free medical diagnosis kits to healthcare institutions. Other projects currently in the pipeline include a library project, which will see the bank fund more than 100 new libraries across the country, in addition to renovating existing ones in various different states. Ovia gave failed energy giant Enron as a prime example of the importance of solid corporate governance in the long-term, sustainable success of any organisation – whether large or small. Through regular meetings with internal members, including shareholders and debtholders, as well as suppliers, customers and community leaders, companies can effectively address the requests and needs of affected parties. According to Ovia, stakeholder interests should also be recognised by corporate governance. In particular, he explained, Zenith Bank takes the time to address non-shareholder stakeholders, which helps the company establish a positive relationship with both local communities and the media. To this end, board responsibilities are clearly outlined to shareholders in order to ensure that all board members are on the same page and share a similar vision for the future of the bank. Given the centrality of corporate governance to its operations, the bank now acts as a role model to others in the country, as well as the wider region. In recognition of its efforts, Zenith Bank was the first bank in Nigeria to win the award for Best Corporate Governance from World Finance magazine for three consecutive years (in 2014, 2015 and 2016). “This demonstrates that the bank is miles apart from its competition,” said Ovia.